+Sonate für Violine & Klavier op. 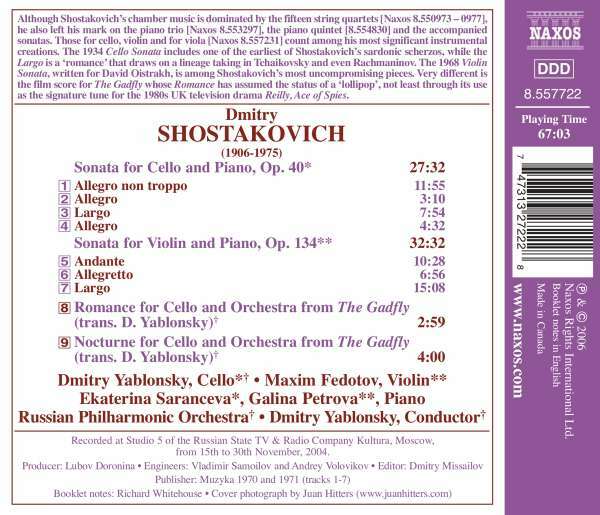 134; Romanze für Cello & +Orchester aus "The Gadfly";Nocturne für Cello & Orchester aus "The Gadfly"
Although Shostakovich's chamber music is dominated by the fifteen string quartets, he also left his mark on the piano trio [Naxos 8.553297], the piano quintet [8.554830] and the accompanied sonatas. Those for cello, violin and for viola [Naxos 8.557231] count among his most significant instrumental creations. 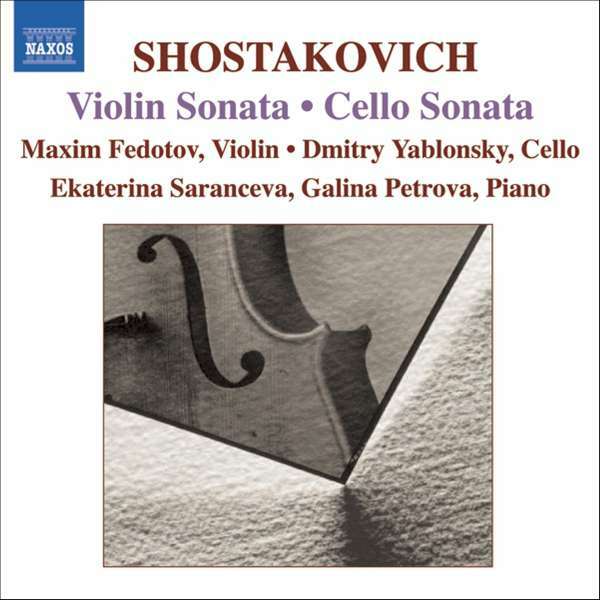 The 1934 Cello Sonata includes one of the earliest of Shostakovich's sardonic scherzos, while the Largo is a "Romance" that draws on a lineage taking in Tchaikovsky and even Rachmaninov. The 1968 Violin Sonata, written for David Oistrakh, is among Shostakovich's most uncompromising pieces. Very different is the film score for The Gadfly whose Romance has assumed the status of a "Lollipop", not least through its use as the signature tune for the 1980s UK television drama Reilly, Ace of Spies.